Trained collectors establishing professional dialogue with debtors to maximize collection returns. Full range of mail, telephone and personal collection services to satisfy each client’s requirements. Headquartered in Southwest Ohio with a nationwide collection system including personal visits as warranted. Program can be custom tailored to client need. Sequential demand letters, direct to delinquent debtors. Cost effective program for low dollar, high volume situations. Initial emphasis on 100% resolutions. 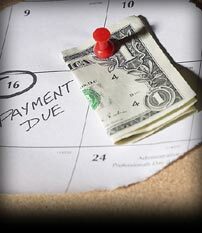 Monthly payment program as justified with each debtor. Cognovit Promissory Note with any extended program. Ongoing monitoring, collection follow-up, and accounting on each extended program. Attorney selection and Default Judgment coordination. On-site paralegal available for all cases. Garnishment processing and asset liquidations. Learn more about our commercial collections and accounts receivable services and how we can help maximize your collection return. Contact us today!